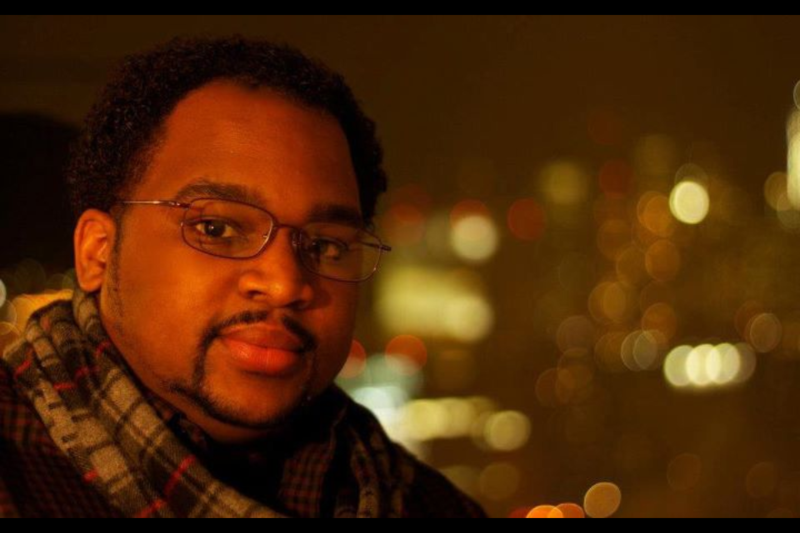 Ramfis Myrthil is a Producer of Love and a Small Print and Co-President/Co-Founder of Beast of The East Productions. 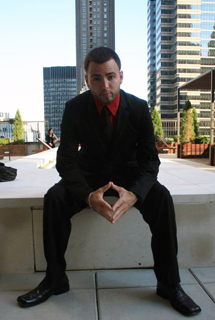 Adam Lawrence is the Director and Producer of Love and a Small Print, and Co-President/Co-Founder of Beast Of The East Productions. Andy Mesidor is the Executive Producer of Love and a Small Print.A United States Marine Corp veteran of OIF I, II, and III, Andy’s lengthy resume’ includes being a successful Independent Personal/Athletic Trainer and entrepreneur. What were your biggest inspirations for making this films in terms of any movies of the past or any if any?? Adam : I can’t even say there were really any movies that inspired me. What really inspired to make this were the previous relationships I’ve been through. I was with people in the past who didn’t understand what I did for a living and didn’t bridge together the fact that as producers, directors, owning a production company is not tangible to outsiders. For them , until you’re making $300,000 a year, until your film’s on the screen, you’re not real to them. I wanted to take all of that built up rejection over the years and move forward and show people you can make a fantastic project by taking the negatives and spun it into a positive. Relationships were the first thing that came to my mind and that was the inspiration for it. Ram was with it, we got Andy involved and came up with something magical, and we put our heart and soul into this film. When they see 20 minutes of this film, they will be entertained for 20 minutes. I guarantee it. Ramfis: As far as any movies or events that inspired this film, the answer is no. Adam brought it to life. We all have gone through some tough breakups, and this is a great way to release that anger, frustration, share with the world, and give back. My goal and aspirations are to share with the world and connect with other people. Andy: My inspiration was from the drive that Beast Of The East Productions has shown in filming their movies as well as their creative aspect. Ramfis and Adam approached me with the script, and it wasn’t just the script that intrigued me. It was their drive in making a good film that did. A lot of times people put out projects cause they can, and don’t care about the quality of the film. With Ramfis and Adam, everything needs to be taken into consideration, everything needs to placed in it’s appropriate position and be executed at top notch. 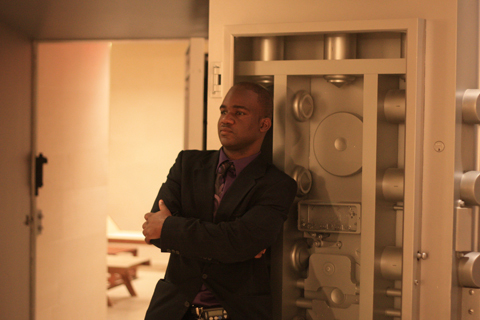 They’ve inspired me to get into film in regards of their enthusiasm, dedication, and hard work to the projects itself. Any words you can give to any aspiring filmmakers. Especially Long Island filmmakers?? Adam: Just come up with a concept. Go with it. And believe in it. Your passion becomes contagious. If you’re really passionate about doing this, and you’re doing it for the right reason, people will attracted to you. Come up with a good concept and shoot it. Capital is what makes a filmmaker different from a guy shooting in a studio in LA to a guy shooting with a hand held in Starbucks. Ramfis: This is show business, a lot of people don’t pay attention to that and look at like a hobby. Once you understand that concept that it is show business, you kind of get it. As far as a Long Island perspective, it’s all about community-outreach, stay in touch with other filmmakers. Beast Of The East Productions is strengthening the Long Island community through feature films, more commercials, more music videos, and we’re building an empire out here and making a conscious effort to leave a legacy behind. The most important things I’ll say that are really important in any project is the story. With the right story, you will attract talent, whether it is a low-budget feature or a Hollywood studio film . If it’s a sick project, then it’s not about the paycheck. Two of the most important things I’ve learned in this business are your network is your net worth and it’s all about relationships. Andy: People have a tendency to underestimate what is out here in Long Island, as well as the accessability. You’re not limited to your surroundings, you’re limited to your train of thought. If you want to get out their to make the film, you have to get out their and make the film. Take the first step forward and take every little step after that. If you notice now more films are being shot in more surburbia areas. It’s about concept and the drive behind it. Accept the fact people are gonna tell you no and doors will closed, you don’t let it stop you from doing what you want to do. The law of averages are the more times you hear no, the closer you are to hearing that yes. And the closer you are to hearing that yes, you got to be ready for it.